Just wanted to thank you for taking care of my emergency on one of the coldest nights of this year during your dinner time. Thanks for always being so accommodating to us. The service was, as always, excellent. Dr Grinde has been a lifetime dentist for my family and there is a reason for that. He truly cares about his patients and strives to ensure you are comfortable and have all your questions answered. The hygienist staff is also outstanding and make you feel welcomed and confident in their services. I would recommend this service to anyone! 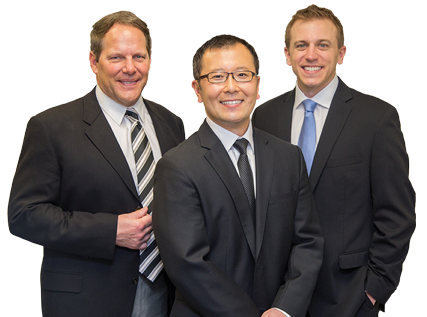 Dr. Chang, we are very grateful to have you as our dentist and to get to work with all of your kind staff. Thank you for all you do for us! I have been going to Dr. Grinde and Patty for many years - they are the best!! Dr. Chang- Thank you so much for being so flexible with your schedule so that I could have my teeth repaired before my wedding. I couldn’t be more thankful for you giving me a beautiful smile on my wedding day! Thank you for all you did to help my son, especially on a weekend. I have been a patient of Dr. Chang's since 2002. I am grateful for all of the special care he has provided to me & my family. His knowledge is among the highest in my opinion. My son who is now 6 has enjoyed every dental visit without fear. In fact, he looks forward to the cleanings! We are treated with such grace and always feel like family when we are in his care. I have had fillings, replacement fillings, numerous cleanings, and a root canal in the last 8 years. I am glad to announce that I love my smile and the health of my teeth thanks to Dr. Chang. It is a great accomplishment to help other people and provide them the care they need. Thank you! Excellent staff all around, very welcoming and simultaneously professional. I recently experienced an impacted wisdom tooth. Upon calling the office, Karla took my information, chatted with Dr. Chang, and told me to come in immediately to the office. I had a very short wait as they fit me in to Dr. Chang’s busy day of patients. Thank you for caring enough to get me back on the path to being pain free. I appreciate it!! All of the staff at this clinic are so kind. From the front desk, to the hygienists, to the doctors. They truly make you feel welcome. They make going to the dentist as pleasant as going to the dentist can be. Maple Grove Family Dental Staff- Thank you so much for your extraordinary care of my parents and myself. I feel so fortunate to be working with such a wonderful group of caring competent professionals! Brooklyn was a fantastic choice to work with Dr. Grinde. Being that I was a new patient, I was a bit nervous. But, I was pleased with everyone and everything. Thank you so much. - P.S. I was a patient with my other dentist for forty years. Dr. Grinde is the best! He and his team treat everyone like they ARE family and it shows! There is no one else I would trust my family with. We drive from the south metro and I never think twice. Dr. Grinde- After twenty-five years, my family was put in the situation where we had to switch our health insurance coverage. We have had the same health care providers for more than two decades. What I want you to know is that when considering our new coverage options, the conversations the Bailey family always came back to was the single practitioner no one wanted to lose- you! Brooklyn is so friendly and sweet, she should be highly recognized in your office for going the extra mile to make patients comfortable and connect with them! Friendly and courteous staff. Very professional. A very sincere thank you for your willingness to support the Mobile Loaves and Fishes Ministry. Your donation of the toothbrushes and toothpaste was very generous. We greatly appreciate having a business like you supporting the people in need in our community. As a long time patient, I can’t think of one thing that I would change about this practice. It is wonderful! Thank you so much for coming in after hours to take care of my sons tooth after his accident. We are very lucky to have such a caring dentist! You are the best! Maple Grove Family Dental is an amazing place for the whole family. Friendly and competent people, convenient location! I have been a patient for 25+ years, which I believe speaks for itself. I have always enjoyed coming in for my appointments and conversing with the same staff that have been there for most of the years that I have been a patient! I’ve been going to Maple Grove Family Dental with Dr. Grinde since I was about 5 years old. I am so happy that I can now bring my husband and girls to Maple Grove Family Dental as well.